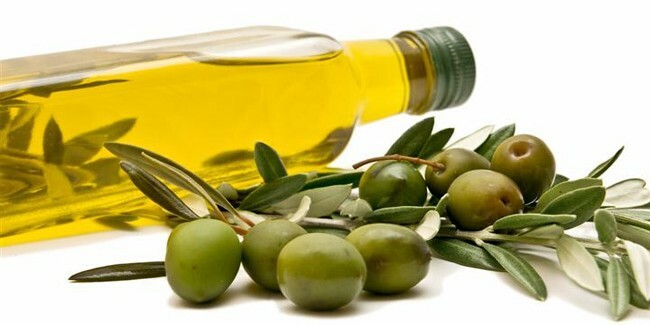 Fake olive oil contains suspicious substances and chlorophyll that give the color and flavor of regular olive oil, even though producers sometimes use soy or other cheap oil. The author of the book “Extra Virginity: The Sublime and Scandalous World of Olive Oil”, Tom Mueller, claims that 70% of the clean olive oil in the world is diluted with other kinds of oil, which is bad for the health. How to recognize cold pressed olive oil? You can hardly recognize for its taste, and even experts are sometimes confused. However, there are two ways to help you buy the original olive oil brand. 1. Clean olive oil thickens when it is cold. If you store it in the fridge, olive oil becomes blurry and thick, but when heathen it will always return to its liquid form. If your oil has not thickened in the fridge, then we are sorry to tell you that you have probably bought some fake brand. 2. Original olive oil is easily flammable. Where can you buy some good quality olive oil? Local products are always the safest choice. You can also trust producers who have a certificate that their oil is clean and organic. Never take the price as an indicator for a good quality. Cold pressed olive oil contains 0.8g of free fatty acids, measured as the amount of oleic acid contained in 100g of the product. It is considered as the healthiest kind, and it is rich in aromatic and valuable nutrients. How to store olive oil? Heat and light can easily spoil good quality olive oil. Always choose olive oil sealed in glass bottles, and right after you come home, keep some of it in a smaller bottle and store it in the cupboard, but never near the stove or other source of heat. Keep the rest of the oil at a temperature of 15 °C.